Inspired by antique lighting, the petite six armed Grenelle chandelier from Eichholtz is an elegant lighting solution for any living space. The suspension column includes an easy to hang ceiling loop for fitting your chandelier in place. 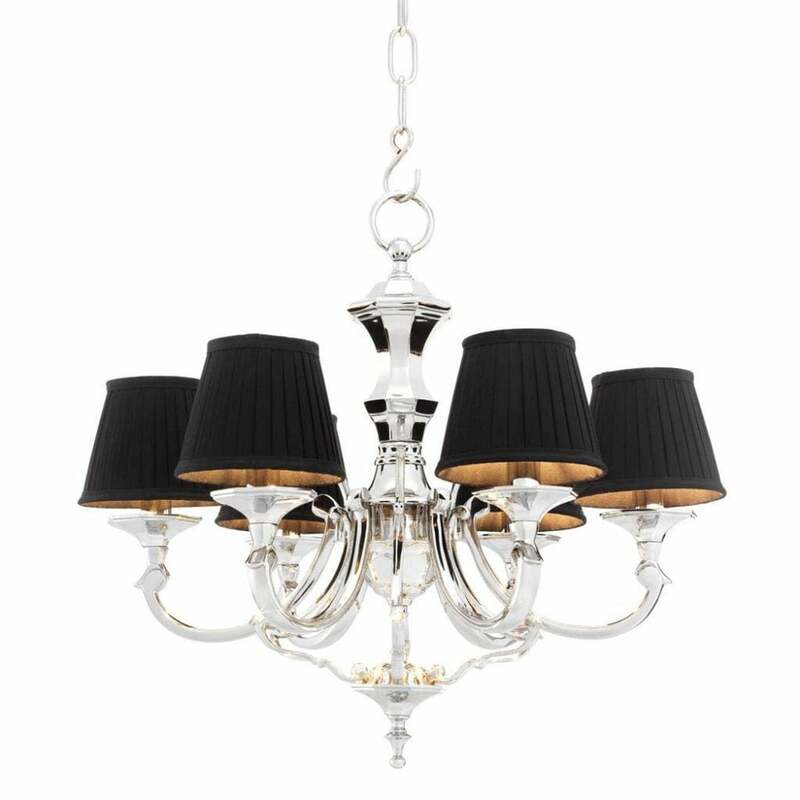 Six ornate arms extend upwards towards simple pleated shades which are available in either black or white. Light is reflected around the room from the bright polished nickel finish of the structure. Add a touch of style to any living space.Style in the hallway for impact upon entrance or dress up a living area or dining room of your home.